Over the holidays I finally had time to sit down and put together a sample album, featuring images from Shannon & Kam's October wedding. I just recently started offering these Madera albums to my brides & grooms, after finally making a wedding album of my own after 4 years. Take it from a former bride, the disc of images is WONDERFUL to have, but even my disc got thrown in our (fire proof) safe until dust collected on it! 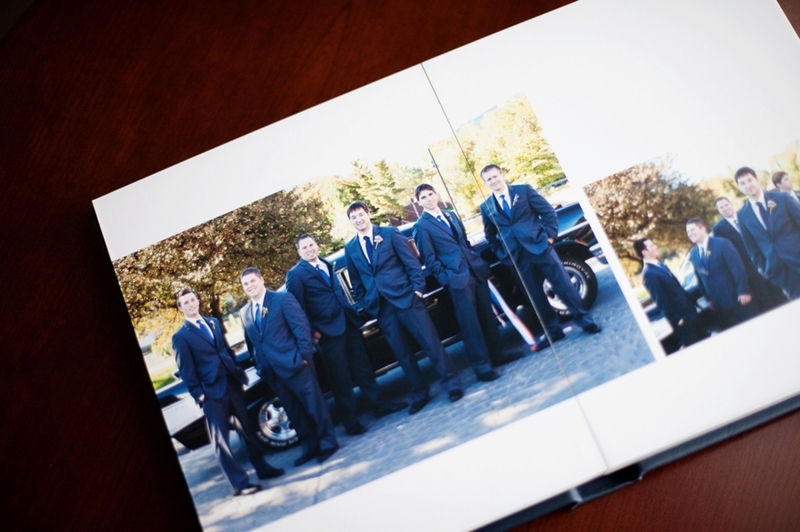 An album is a great way to showcase the images you spent so much money on, and it will last for generations. 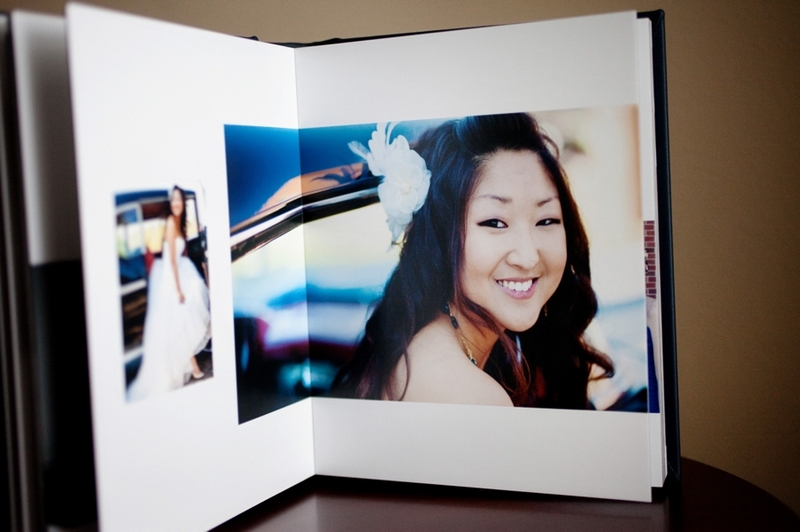 Truly, these Madera albums are a work of art - I love the thick lay flat pages (with very little gutter, giving you the option of doing a full bleed photo across two pages if you so choose!) and the luxurious leather covers (and the imprinting just makes it even better!). 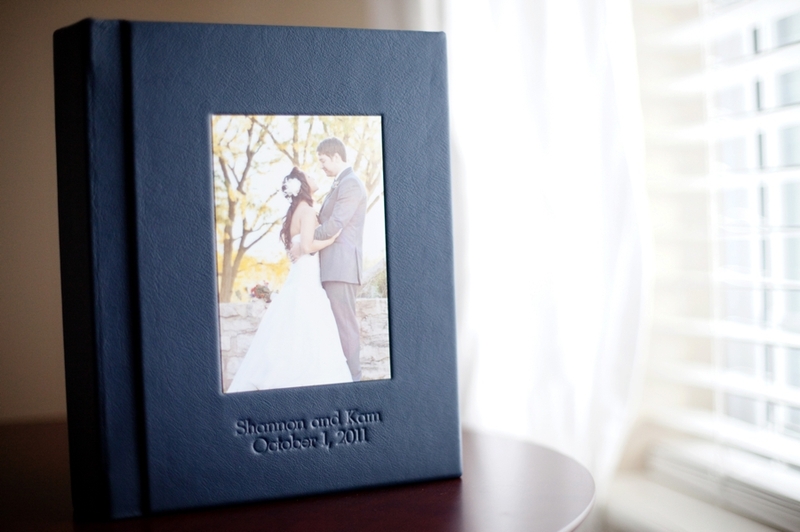 The covers come in several color options, I chose navy for this particular wedding since their colors were blue and orange. 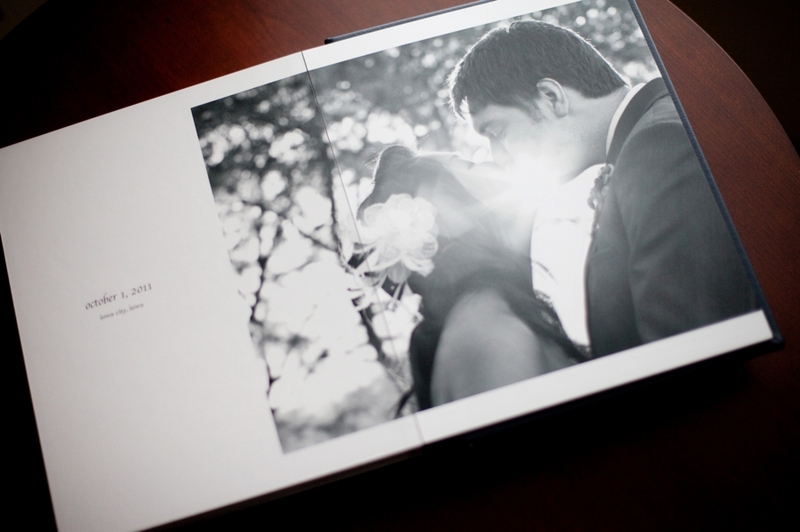 Feel free to email me at info@jenmadigan.com if you're interested in pricing for a Madera custom album as part of your wedding photography package!